The last time I went to the cinema to watch Nicole Kidman was back in May for the sleep inducing, not even memorable enough to be a classed as a car crash, Grace Of Monaco. Still a fan of the Oscar winning Australian though through the strength of works such as The Hours and, perhaps more nostalgically, Moulin Rouge! and Practical Magic, I decided it was time to forgive and forget and move on to her next big project, Before I Go To Sleep. A big screen adaptation of a best-selling novel by S.J. Watson that managed to completely pass me by in 2011, the film tells the suspense filled story of Christine Lucas, a woman who suffers a type of amnesia that means she wakes up every morning having forgotten all the information from the day before. This condition has arisen from a savage attack that took place years ago, and with only her husband Ben (Colin Firth) and secret meetings with neurologist Dr. Nash (Mark Strong) for communication, Christine struggles with trying to find out exactly what happened to her, and who exactly she can trust to help. Whilst watching the film it is overwhelmingly noticeable that the narrative is one that clearly benefits from the pages and pages of depth that the literary form of a novel allows for. Though the plot is pleasingly tight and by no means messy, there are definitely points throughout that one can imagine were given much more satisfying time to develop in the original source material. As a piece of psychological, edge of the seat thriller drama, Before I Go To Sleep provides all the twists and shocks that the audience hope for and expect in a picture of this nature, including at least two revelations that had me audibly gasping. Of course, the viewing experience will be different for the millions of book readers who already know what is going to happen, but I would confidently state the the adaptation will not be a disappointment if you accept the limitations of a cinematic running time. A particular aspect for which the film must be commended is the fact that is never feels repetitive, a big achievement given the nature of the plot, and further more the writers and director have done well not to betray the picture’s integrity with any blaring plot holes or discrepancies with regard to the amnesiac thread of story telling. There is a pleasing balance between exposition and allowing the audience to work out and make assumptions for themselves, a fun and vital element of any film that works towards a ‘whodunnit’ kind of conclusion, and for a narrative with so few characters, great skill has been taken to make sure the audience are fooled enough times throughout that the final reveal really does come as something of a surprise. If I were to level any criticism, it would be that the film’s climactic sequences come and go too quickly, and some might feel that the previous seventy minutes worth of tension building were too rapidly released. However, the fun you have along the way does go some way to making up for it. As hinted at above, the film is really only limited to four relevant characters, and puts a lot of faith in to its small cast to be able to connect with the audience and hold their attention. Nicole Kidman is particularly brilliant at playing fragile, psychologically tested characters such as her performances given in The Others and Rabbit Hole, and she is one again back to some of her best work in Before I Go To Sleep. 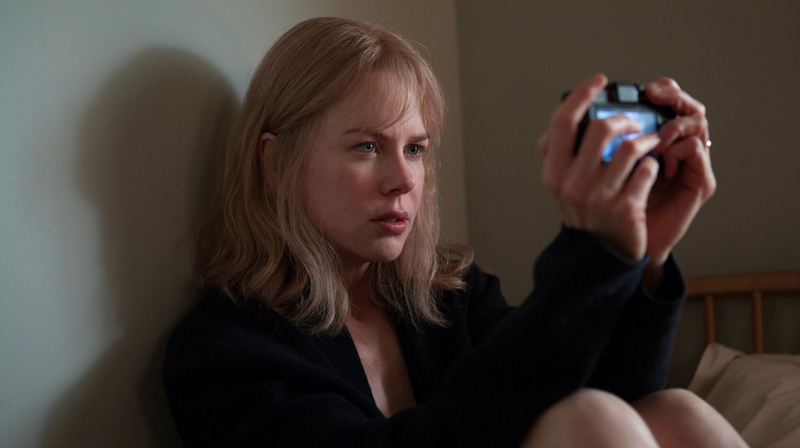 Playing a character who has to relearn every plot point at multiple times throughout the film runs the risk of becoming an annoyance to the audience, but Kidman’s commitment and sheer quality of acting makes Christine’s struggle believable and one feels a sympathy for her over anything else. Another great piece of casting is the choice of Colin Firth for Ben, as the audience’s preconceptions of Firth from his previous major works wreak havoc with trying to determine his status as a force for good or a force for bad within the narrative, and of course, the quality of his overall performance is fantastic as one would expect. Mark Strong as Dr. Nash has perhaps the least interesting role of the three, but nevertheless gives a nuanced and finely balanced performance that leaves the audience doubting every decision and switching support from one antagonist to the other throughout. The small charactered nature of the film gives it an almost theatrical feeling, and this is helped and benefited by three excellent actors who know exactly what they are doing and can carry the weight of the picture between them easily. Overall, Before I Go To Sleep is one of the more enjoyable films I have seen this summer. It is nice to see Nicole Kidman back on form after a universally slated venture earlier in the year, and it is also nice to see an intelligent psychological drama that incorporates some of the good old fashioned thrills and spills that make a trip to the cinema feel worth while. Though I can’t imagine it appearing on any top ten of the year lists, it seems to have been an effective book to screen adaptation, something that can often be truly misjudged. 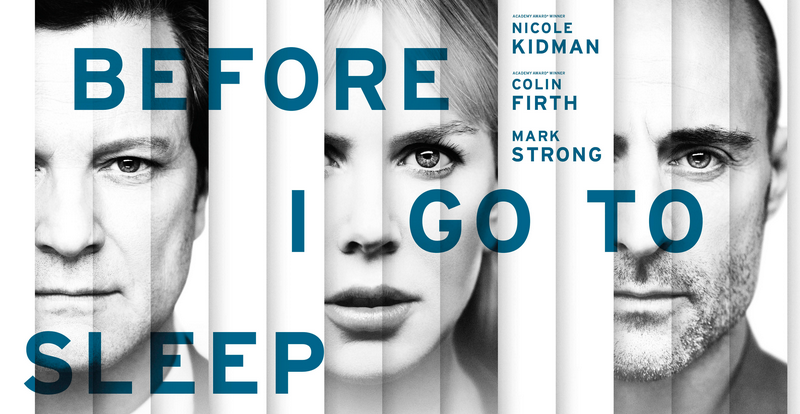 With a storyline that will keep you thinking for a few days afterwards, Before I Go To Sleep is certainly worth a watch and will no doubt take its place in regular late night television rotation as a well made, well thought out jumpy thriller. It certainly has hints of Memento, but is definitely not as good! I’m a fan of the book, so I’m very excited for this film. From the trailer, it seems that some elements of the book have been changed, but it’s one of those rare cases where the changes seem for the better. excellent review. I`ve read the book two times. The story is not new, but still interesting to read, and now to see on the big screen. Nicole is terrific actress. Looking forward to see it sometime next week.